On Sunday November 18th, a group of parents, young golfers and Dignitaries assembled at the Ocean Shores Country Club for the official opening of the new Practice Range facilities. Tamara Smith MP opening the new covered practice range facility at the Ocean Shores Country Club this morning. 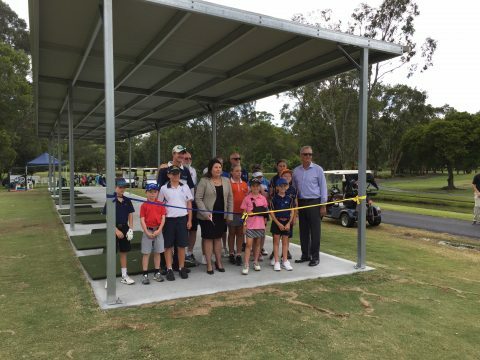 Funded by NSW State Government in partnership with the Club, Jack Newton Junior Golf, Northern Rivers District Golf, Womens Golf Northern Rivers & the North Coast Academy of Sport the facility will provide all- weather protection for our junior golfers in the Development Program. A great example of all around collaboration & synergy.